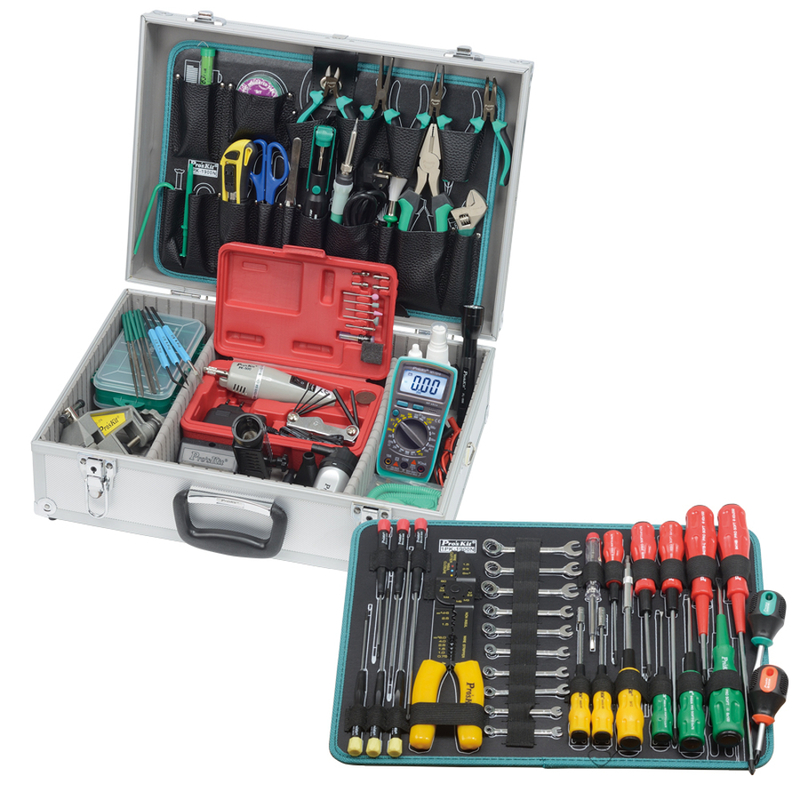 This Pro Electronics Tool Kit contains a wide selection of tools for the professional. Housed in a 18" x 13" x 6" aluminum frame tool case with a pallet design that will keep the case organized making tools easily accessible. 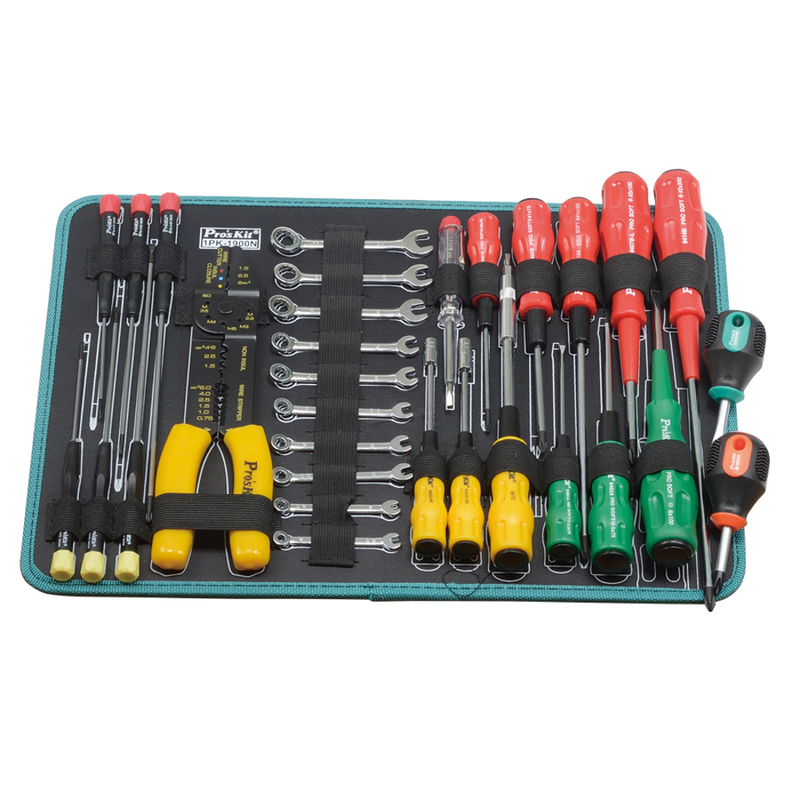 The case features key locks to keep your tools secure when they are not in use. Dual Color Lineman's plier Pro-soft s/d #0x75mm Stainless scissors 6"